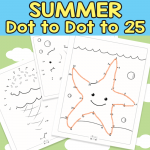 These Summer Alphabet Dot to Dot Worksheets are a great and fun way for kid to practice alphabet through Summer break. 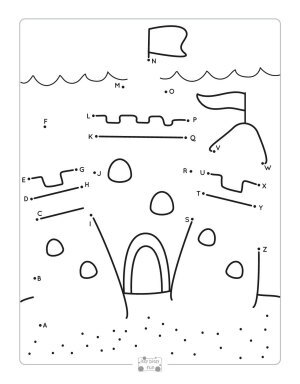 These worksheets are perfect for homeschoolers and classrooms. 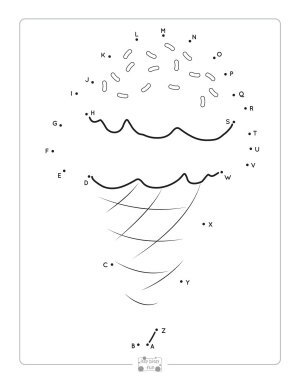 They can be used with kids in kindergarten and older kids if they need some more practice learning alphabet. 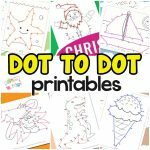 There are several benefits from dot to dot printables. Counting, coordination, handwriting, focus to fine motor skills. 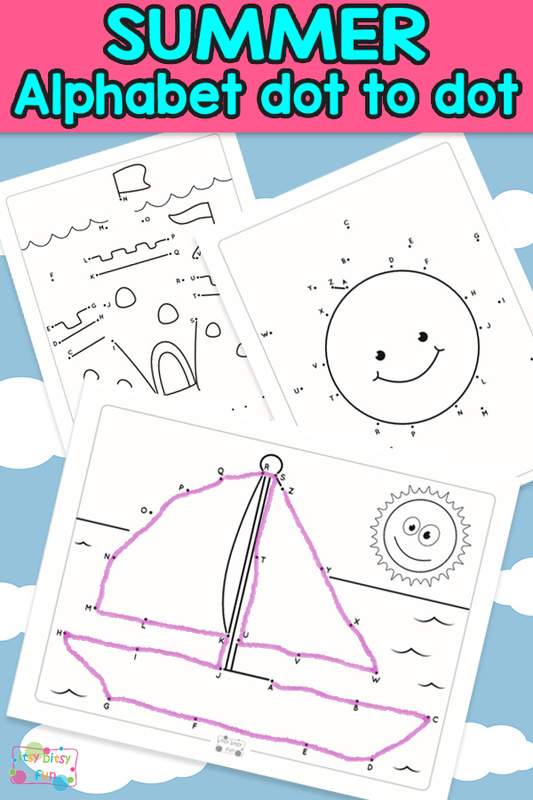 The designs are fun and engaging summer themes, and appropriate great for kindergarteners to 2nd graders. You can check all 10 designs in the next black and white images you see below. 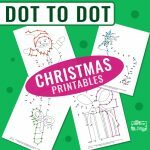 If you are searching for more connect the dots printables check out this printable dot to dot worksheets article. 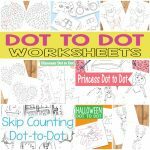 Benefit of the connect the dots worksheets is that it is going to help with the child’s hand and eye coordination. 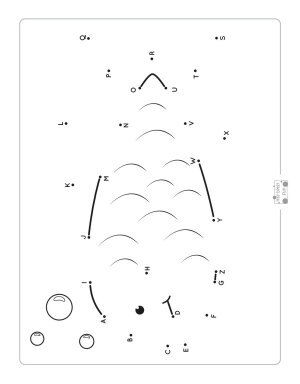 This is because the child is going to need to do a lot of concentrating. 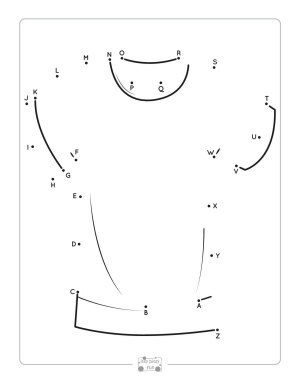 Therefore, it is going to help with the visual motor control that the child will need in their future. 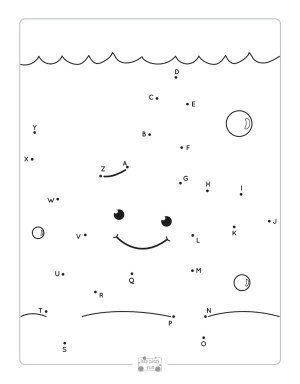 It will improve the child’s handwriting skills also. 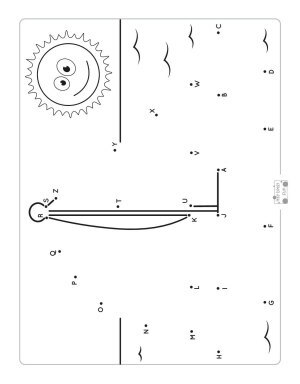 This is because the child is going to be creating a variety of different shapes and focusing their pencil. 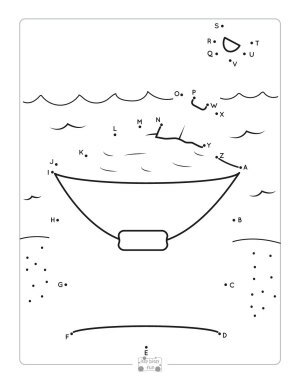 Therefore, they will learn how much pressure that they will need to apply to the paper in order to improve their handwriting. 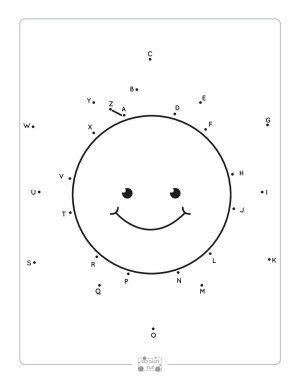 Benefit of the alphabet worksheets is that the fine motor skills of the child is going to be improved. 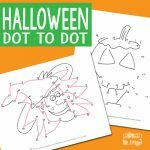 This is because they are going to be strengthening their hand and finger muscles while they are doing the dot to dot worksheets. It is also going to help them to concentrate on gripping their pencil properly while their hands are getting stronger each time. 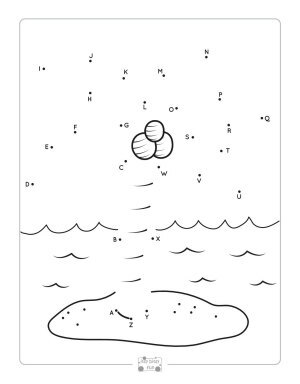 The last benefit is that the child is going to be able to build up their concentration and focus. It is going to show that the child is willing to do some hard work to get a job done. Plus it is going to be fun so they are not going to realize it. 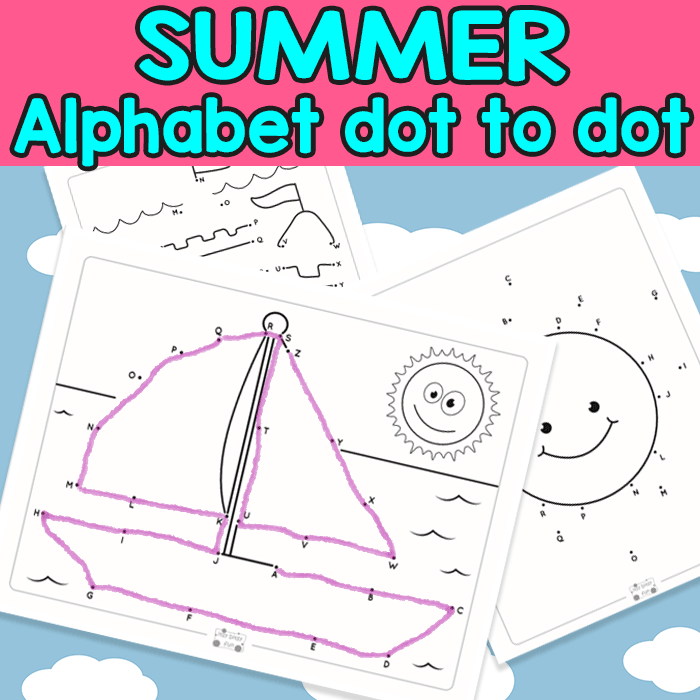 Grab your Alphabet Dot to Dot Worksheet – Summer Freebie here.